Still not worried about those Bronx Bombers? With a loss last night in Anaheim (and the Yankees win in Toronto), Boston's lead slipped to five games in the American League East. 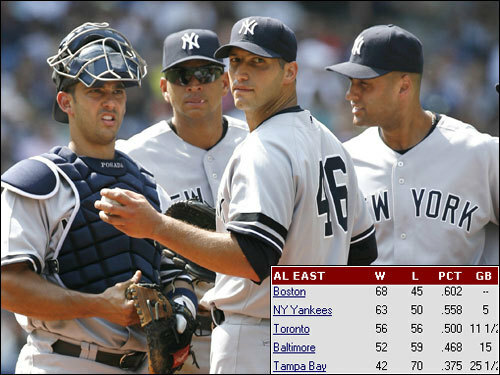 That's the slimmest lead the Sox have boasted since May 2, and a far cry from the 14 1/2 games New York was behind May 29. So how do you explain the sudden surge? Scroll through our gallery for possible answers and tell us exactly what your comfort level is right now.